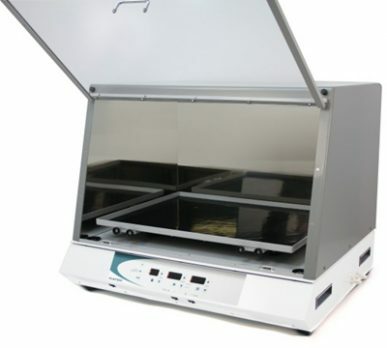 The Hybridisation Incubator Oven is an extremely versatile compact incubator/oven that can be transformed from a hybridisation oven, to rocking incubator, to shaking incubator, to static incubator in a matter of seconds. The heated cabinet features base mounted drive rollers that accommodate a range of drop-in accessories. 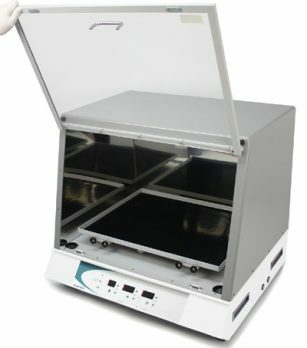 Digital PID control and large displays.